A dozen lucky Follies had the pleasure of a beautiful mid-October afternoon’s round of the rarely visited Milton Golf Course. With this being the last event counting towards this year’s awards and to keep the suspense going till the end, results will not be published until after the Annual Supper and Prize Giving. However, we were allowed to see Brian and Colin H’s holiday home but we were not invited in. 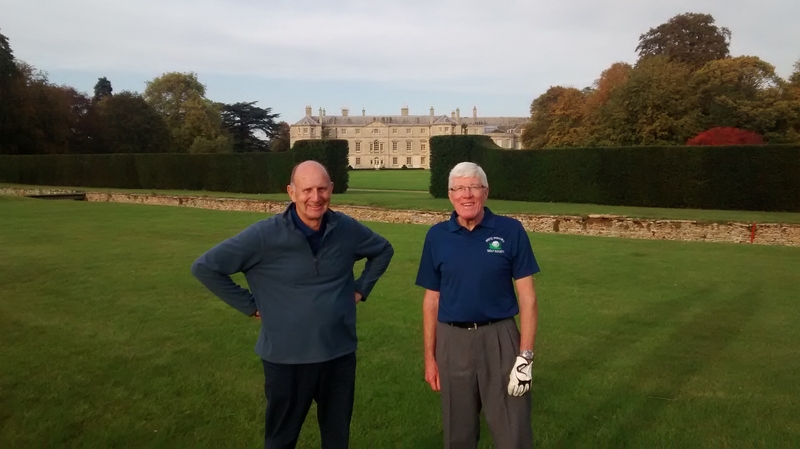 So, on to our Final Events of the year on Friday 7th November – teeing off with breakfast at the Stibbington Diner, continuing with golf at Elton Furze and ending with the Fritz Follies Golf Society Annual Supper and Prize Giving 2014 in the Cuckoo, Alwalton.